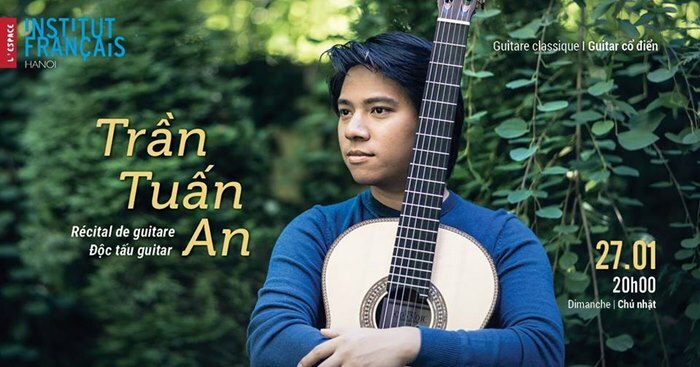 Tran Tuan An is one of the “genius guitarists of Vietnam” (Austin Classic Guitar). He has been invited to perform at major concert halls in North America and in Asia alongside other world-class artists. Tuan An and his guitar, designed by luthier Stephan Connor, promise to bring a special night of classical music to the L’Espace stage. Introducing paintings made using painting knives, by hand or by any other tool other than the usual paintbrush. Showcasing 60 artworks by 33 Vietnamese contemporary artists including Thanh Chuong, Le Tri Dung and Dang Thu An. A new collection by artist Vu Dinh Tuan will be exhibited at Hanoi Studio Gallery.